With winters here, we can finally make some outdoor scenes. And what would be better than an outdoor BYOB surrounded by trees and plants? Well, something even better would be if the BYOB was open all night long. We’ve found Forest Cafe at Golf Course Road and it has all of it! 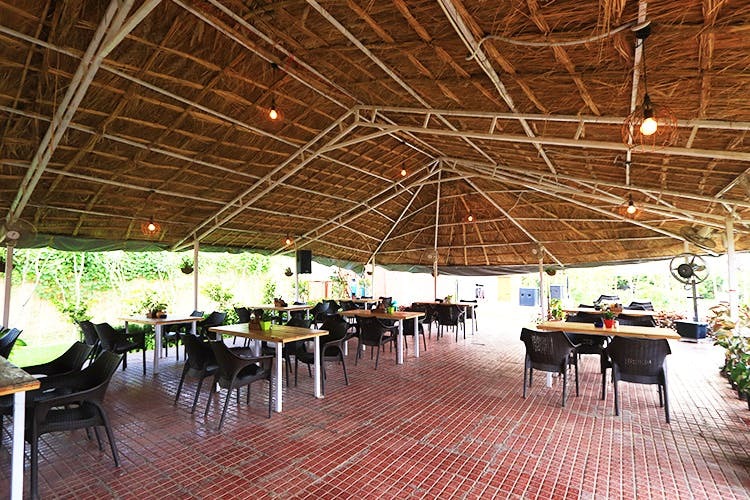 Forest Cafe, with its lush ambience, will almost feel like a mini getaway in the beginning. The beautiful dim lights will lighten up the mood and make you feel warm. And you can surround yourself with all of it for the whole night with your squad. Since it’s a BYOB, you don’t have to worry too much about the cost going overboard! Moreover, they have gourmet pizzas and DIY pastas that work as fillers in between your conversations. Their menu has quite a variety with everything from salads to tandoori stuff. What maximum you’ll be shelling out of your pocket for such a great place is just INR 350 per person! If you’ve been looking for a place that is beautiful, affordable and open all night long, Golf Course Road’s Forest Cafe is exactly where your search ends.